Price Reduced to $ 114,000 - Hurry this will not last ! 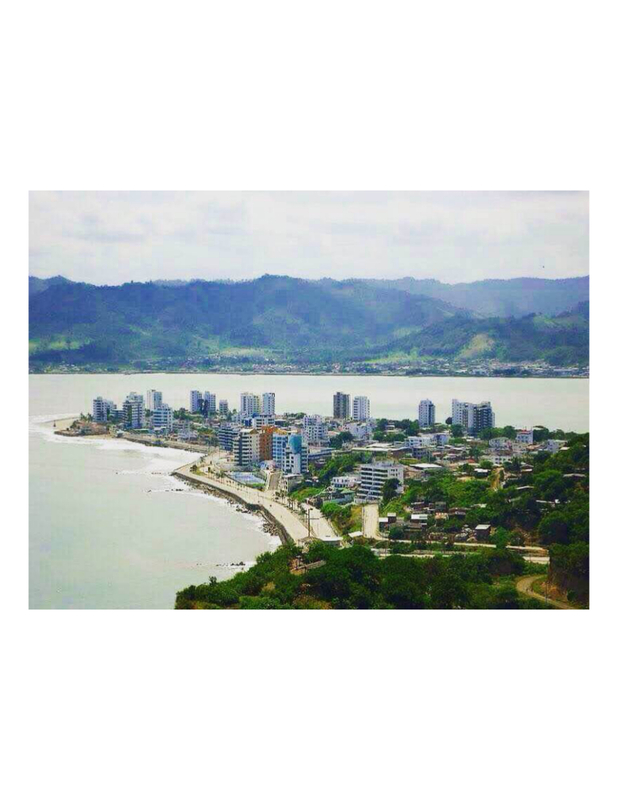 Located on the beautiful peninsula of Bahia de Caraquez, Ecuador enjoy magnificent views of the Pacific Ocean, including beautiful sunsets, and a clear view of the "waiting room" for incoming sailboats as they wait to arrive into Bahía de Caráquez. Imagine living right across the street from a beach that lends itself to leisurely walks, sunbathing, swimming, boogie boarding or boating! Your future home is also near the downtown core, and has easy access to local restaurants, and amenities like grocery stores, pharmacies, the local market, and is within walking distance of a North American style Mall. This remodeled 181 sq. meter (1948 sq. ft.) 3 story home, features exotic woods and ceramic tile throughout the home. 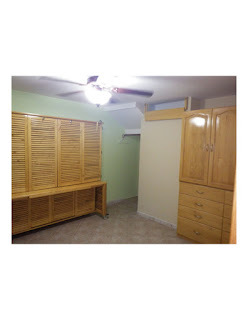 There are two bedrooms, 2 baths, plus a large multi-purpose room that can be used as a secure garage, bedroom (includes murphy bed) or workroom. The home has ceiling fans throughout, A/C units in each bedroom, screens on all openings, standard metal security on all doors and windows and 5 stage UV water purification system. This is a ONE OF A KIND MOVE IN READY home complete with furniture, TV room with surround sound system, appliances and a 2000-gallon (approx.) cistern. You will enjoy panoramic views from your 3rd floor covered terrazza – great for relaxation or entertaining! 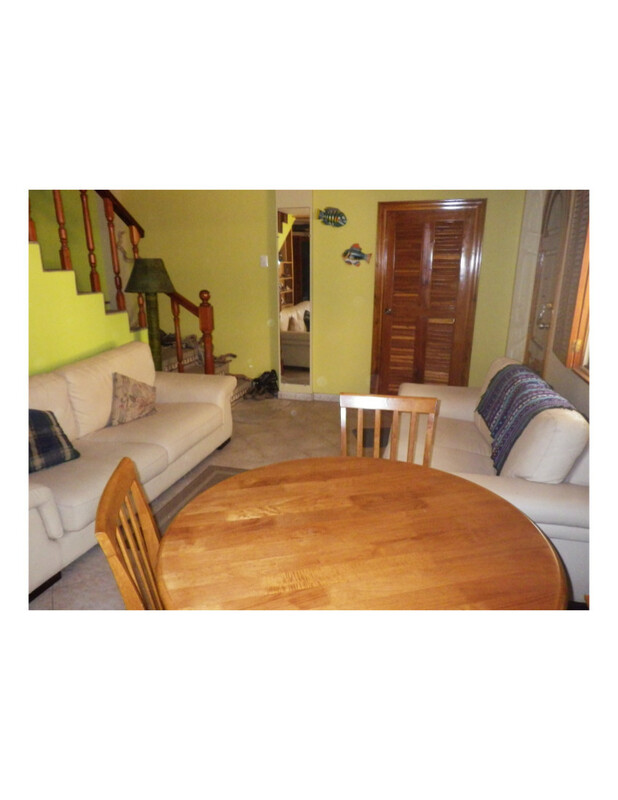 Your entertainment area features a built in sink, counters, refrigerator, BBQ and large wooden table and chairs. This home has all of the amenities for year around living, or is perfect if you just need a getaway retreat. 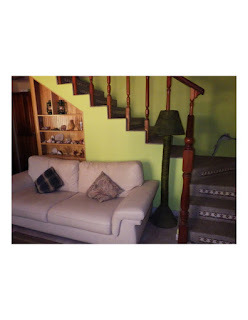 Interested buyers only please contact: ecuadorcoastalhome@gmail.com for further information.